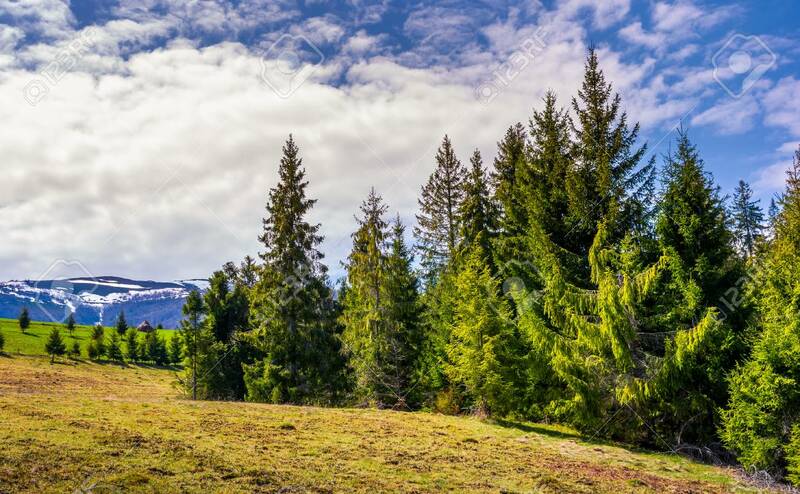 Spruce Forest Under The Cloudy Sky. Beautiful Nature Scenery.. Stock Photo, Picture And Royalty Free Image. Image 93507090.